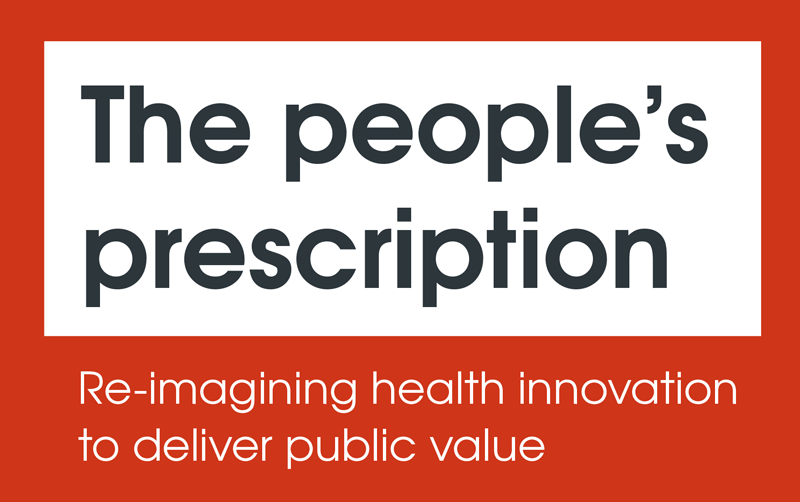 The report, The People’s Prescription: Re-imagining health innovation to deliver public value , warns that health innovation is being hampered by a drive for profit and calls for a major overhaul of the system to ensure that more drugs and treatments are developed for critical health needs. As an immediate policy action, the report calls on governments to pursue their legal right to procure affordable generic versions of patented medicines, if companies refuse to drop their prices to levels affordable to national health systems such as the NHS. These legal rights are known as ‘Flexibilities’ within the World Trade Organisation’s TRIPS rules (Agreement on Trade-Related Aspects of Intellectual Property Rights). This could mean huge savings for the NHS. For example, evidence shows that the prices the UK pays for some cancer medicines could be reduced by between 75% and 99.6% if they could be procured as generics. Conditionality would also prevent the public from paying twice for medicines. A treatment for prostate cancer – Abiraterone – was discovered by the Institute for Cancer Research (ICR), which receives 38 per cent of its funding from charities and the UK Medical Research Council, and 14 per cent from other government funding. The NHS then spent £172 million on the drug between 2014 and 2016, following five years of negotiations when the price was set just below NICE’s upper limit of acceptable costs. By the end of 2017, Johnson & Johnson had made around £1.9 billion in sales and the ICR had earned just £137 million. Saoirse Fitzpatrick, Senior Advocacy Adviser, STOPAIDS, added: “We have to face the reality that our current system for developing medicines is not matching people’s health needs. If we carry on with business as usual then we are going to end up bankrupting patients and health services with high priced drugs and wasting precious financial resources on copycat medicines which do nothing but add to the pharmaceutical industry’s profits. IIPP’s mission is to change how public value is imagined, practiced and evaluated to tackle societal challenges and achieve economic growth that is more innovation-led, sustainable and inclusive. Just Treatment is a patient-led campaign fighting to secure fair and affordable access to medicines on the NHS, and to bring about a medical innovation system that prioritises the lives of patients and public health over the profits of pharmaceutical companies.